Find out how the EU lobby register Secretariat dealt with CEO complaints about dodgy data, including by Monsanto. Back in November 2017 Corporate Europe Observatory submitted a series of complaints to the EU lobby transparency register over misleading or inaccurate entries. The most high-profile of these was a complaint against Monsanto over concerns about the low level of spending it had declared for its EU lobby activities. Other complaints focussed on lobby consultancy firms, corporations, and think tanks. Now that the register secretariat has replied to all complaints, a clear conclusion can be drawn: the lobby register remains toothless. The current reform process to revise the register must introduce real sanctions to stop abuse of the rules. Our complaint against Monsanto highlighted the under-reporting of its annual lobby-spend, questioning why it declared spending less than €400,000 when it employs four lobby consultancies who together declare receiving at least €910,000 from the company. Monsanto later updated its registration to provide a new figure of €1,250,000€ - €1,499,999, a more than 200 per cent increase, calling it “an innocent mistake due to administrative miscommunication”. You would think publishing such misleading data by one of Brussels’ most controversial lobbyists would face some kind of sanction, but you would be wrong. Monsanto was temporarily suspended from the register when it failed to reply promptly to the lobby register secretariat’s initial inquiries following the complaint, but the publishing of the dodgy data was not penalised at all, and the complaint was closed once the update had been made. Our additional point that Monsanto’s register entry failed to list all those who lobby on its behalf, such as lobby firms, was not accepted as the transparency rules do not specifically require this. MEPs in the European Parliament have already decided to ban Monsanto lobbyists from their premises; shouldn’t other EU institutions such as the Commission now take a similar step? Corporate Europe Observatory also highlighted the case of tech company Audible Magic, which declared only €9,999 or less annual lobby costs despite evidence of an active lobbying operation in Brussels. Within days of our complaint, Audible Magic had updated its register entry to €46,600, a 360 per cent increase. As a result, the register secretariat told us that the case was closed with “no further follow-up”. A similar response was received for the complaint into the think-tank Epicenter. Despite the organisation being created back in 2014 its lobby entry failed to disclose a figure for its EU lobby-spending. Since our complaint, it has now updated its register entry to provide a figure of €100,000- €199,999 for 2016, so the register secretariat says it will take no further action. Our further allegation that Epicenter was not being fully transparent about all of its close ties with the UK think-tank the Institute of Economic Affairs (including the fact that Epicenter’s European Parliament pass-holders were all IEA staff members) was ruled “inadmissable”, because the register does not require organisations to specify this kind of information. The EUTOP lobby firm belatedly joined the lobby register in December 2016 and when it did, it created three entries covering its Brussels, Frankfurt, and Europe entities. This was not only confusing but contrary to the ‘single-entry’ rule (which states that organisations with multiple branches or offices should make a joint entry), and arguably highly misleading. Following our complaint and enquiries by the secretariat, EUTOP withdrew two entries and focused information in its third entry. 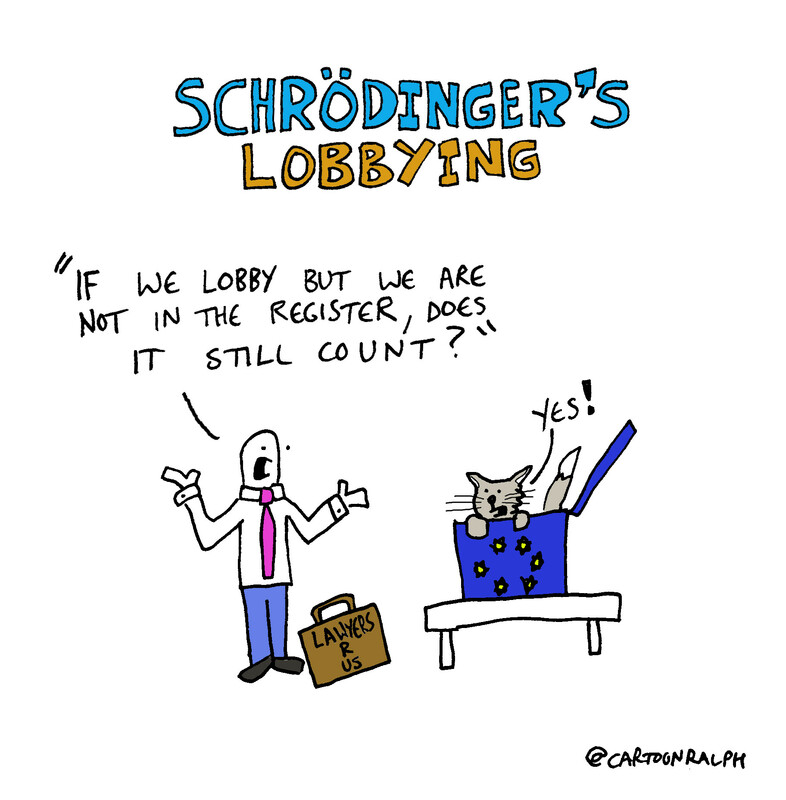 Lobby firms, especially those which spend millions on EU lobbying and who enjoy 21 European Parliamentary lobby passes, should take particular care to provide a clear and accurate register entry. No punitive action was taken by the Secretariat against EUTOP. We made a complaint about another lobby consultancy firm GPlus. Within weeks of our complaint, GPlus had updated its register entry to include the client that we had identified as missing, the European Fisheries Alliance. There can be no excuse for lobby firms which do not declare all their clients promptly, especially when they accompany them to high-level meetings with the Commission, as GPlus did with EUFA. Again, the Secretariat took no action. The Consumer Choice Center calls itself “a global initiative that empowers consumers worldwide” although recent research by Corporate Europe Observatory and others present a rather different picture. We complained that the CCC had not properly explained its links with the US group Students for Liberty (whose income mostly originates with US right-wing plutocrat Charles Koch, of Koch Industries, as well as like-minded think tanks). We also pointed out that it had not provided adequate transparency of its funding sources, and we queried which year its declared lobby spending related to. The first two points were ruled inadmissible by the register secretariat who told us that the CCC had done all that the rules required of it. The final point of complaint was closed after CCC updated its register entry to change the year for which the lobby spending relates to. Five of our complaints related to organisations where there was evidence that they were actively undertaking lobby activities at the EU level but they had not signed up to the (voluntary) lobby register. These were the Glyphosate Task Force; UK think tank, the Institute of Economic Affairs; communications firms MC Group and Everjust; and ‘advocacy group’, Fair Energy. In each of these cases, the register’s secretariat told us that it had written to each of the organisations and invited them to join. At the time of writing, none of them have done so, illustrating perfectly the toothlessness of a voluntary register. Yet the Commission remains stubborn in its opposition to a legally-binding one. The EU’s lobby register is currently under review by the Commission, Parliament and Council. Based on these complaints, what changes should be made to the register? 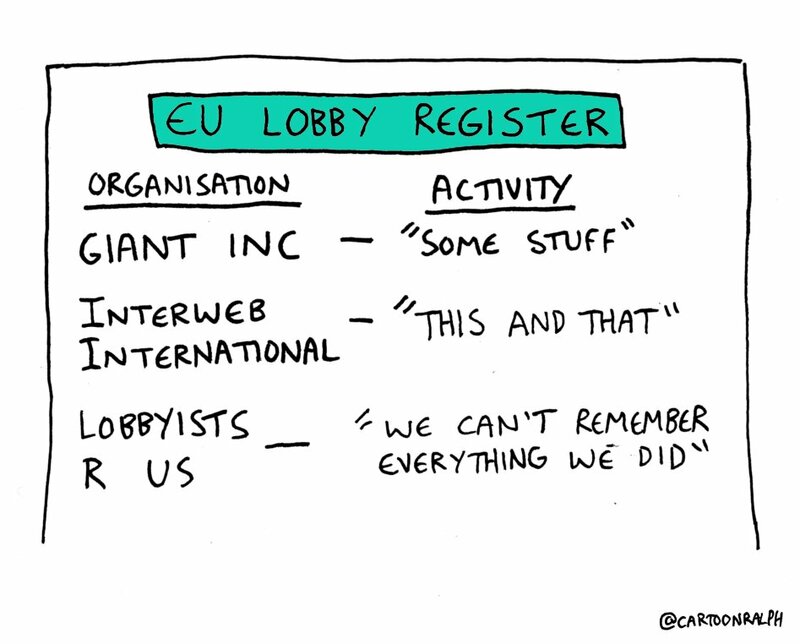 Mistakes, intentional or genuine, will be made in the EU lobby register and the Secretariat needs to be empowered to take real action when lobbyists fail to provide full, up-to-date, and accurate register entries. The register’s Secretariat has recently implemented new processes to spot dodgy-looking data when registrants join, but it remains under-resourced. Crucially, if there is no threat of real sanction, lobbyists will continue to get away with misleading entries. Registrations should become more comprehensive and improvements must be made to require more precise financial reporting of lobby spending, income received from lobby clients, and sources of funding by organisations such as trade associations, NGOs, and think tanks. Our complaints highlight that tighter rules will be needed if the lobby register is to be an effective research tool which highlights the lobby and funding links between different organisations. 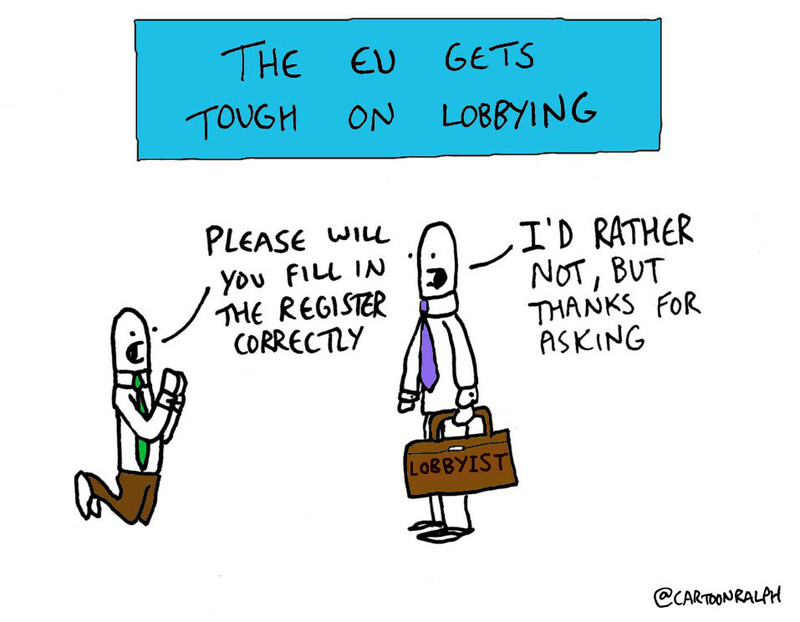 Non-registered lobbyists which are active at the EU level will continue to be absent until and unless there is a legally-binding lobby register.